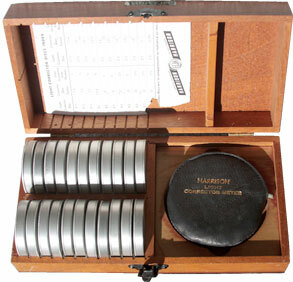 Harrison & Harrison made photographic filters back in the 1930s, 40s and 50s. The cartoon man on the front page of this website comes from a Harrison advertisement (but for a different item). 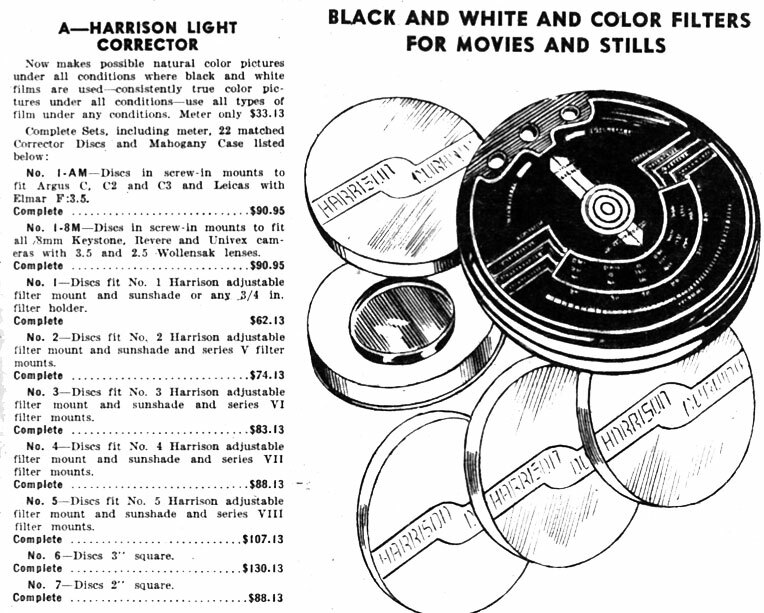 I believe Harrison is still in business, but they don't make filters for still photography anymore. At least not under their own name. This meter is about the size of an Eskimo pie. It's a thick disc with two spinning calculator dials, one on each side. Along the outer edge of the meter there are a series of view holes (barely visible here) and each one has a different filter. The idea is you view the scene through this meter and judge which one looks best. The dial only exposes three filters at a time, so the calculator can tell you what you're looking at. 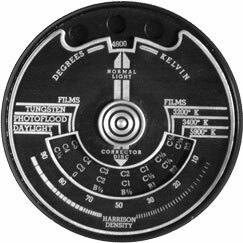 One side tells you the color temperature of the scene in degrees Kelvin, and then suggests the proper Harrison color corrector filter to use for the kind of film you've loaded. 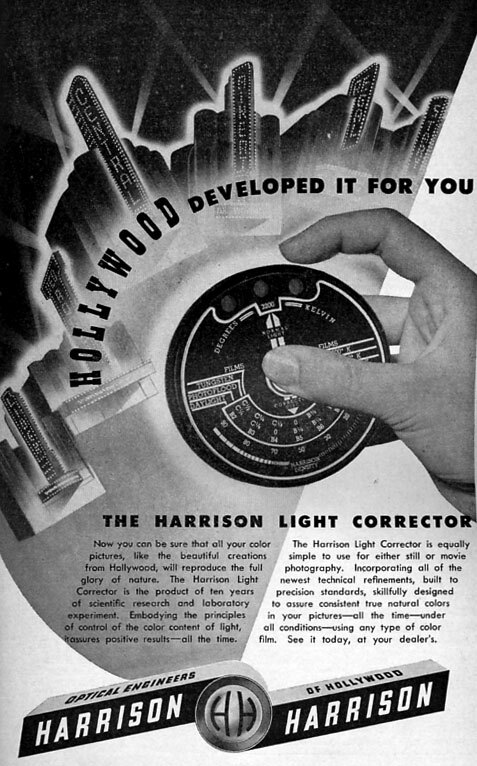 In this case the scene reads 4800K, so if you're using Daylight film, you'd use a Harrison B½. Flip the calculator over and tells you how to compensate exposure. In this case, a B½ requires 3/4-stop of additonal exposure. Pretty cool. 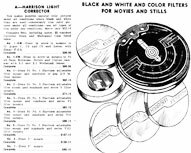 Of course you need the full slate of H&H filters which would be difficult to get these days (I'm fortunate enough to have a set), or a conversion chart for Wratten numbers or mirads (e.g. this page from Cinematography.net ).